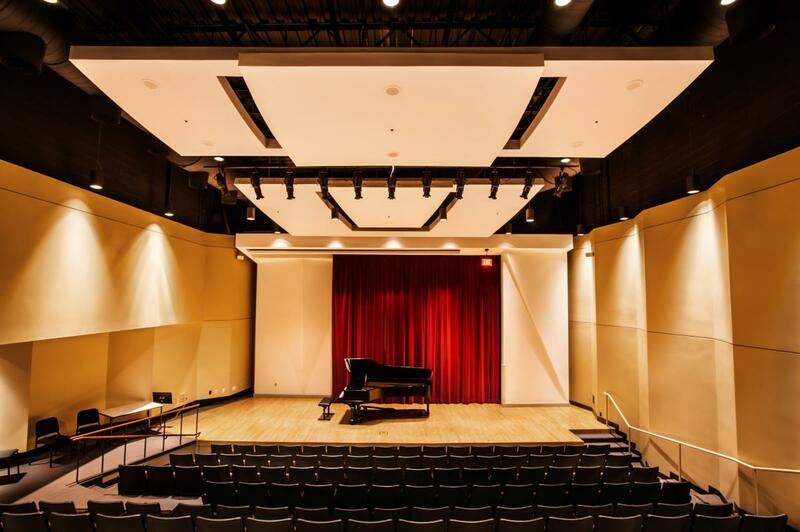 The 180-seat Robert G. Edge Recital Hall is one of the Hodgson School's premier performance spaces. Used for student recitals, applied seminars, large general education classes, theory/musicology classes, and faculty meetings, this multipurpose facility is equipped with a projection screen to be used with portable video equipment for workshops. Edge Hall is also hard-wired for full video/audio recording through the control booth, located in the rear of the hall. A movable stage curtain allows alteration of acoustics or visual change to the stage area, which, in conjunction with the space's carefully designed acoustics, creates a professional-level environment for any performer.